In the fight against environmental waste and hazards, toy manufacturers are increasing their initiatives for green procurement, not only in how they approach strategic sourcing for their products but also how they generate power for their own facilities. 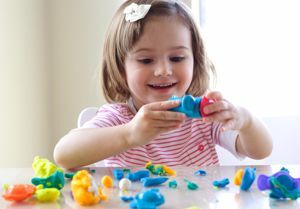 One way toy manufacturers are reducing waste is by making their packaging more eco-friendly, according to GreenBiz. Hasbro eliminated polyvinyl chloride (PVC) from its packaging and also reduced the amount of packaging materials for its products. "Mattel established a sustainability target to improve our packaging material efficiency by 5 percent by 2015," a spokesperson for Mattel wrote in an email to GreenBiz. "Brands across the business have identified opportunities to reduce the amount of packaging materials used." Play-Doh containers now have recycling symbols on the can and lid and feature printed labels on the can rather than using paper after a product design overhaul. Lego is continuing this industry trend of more sustainable product packaging by shrinking the size of its merchandise boxes, according to Lego's site. By reducing the amount of packaging used, Lego said its carbon dioxide emissions are cut by 10 percent and its boxes use 18 percent less cardboard. This is significant considering Lego estimates 15 percent of the company's carbon dioxide emissions stem from packaging alone. "Consumers will find it easier to handle the packaging, retailers will have space for more boxes on their shelves, and we'll use less energy in transporting the goods to the shops. So it's a win‑win situation for everybody," said John Goodwin, CFO of the LEGO Group, on Lego's website. In a step toward making products with less environmental impact, Lego has made significant strides toward removing PVC from its toys to meet its goal of sustainable product sourcing and other renewable energy initiatives. Morten Vestberg, sustainability communication manager for Lego, said the company recycles 90 percent of its waste with a goal of achieving zero waste in the future. Lego is also working toward improved energy efficiency. Goodwin said the company increased production energy efficiency by 4.1 percent in 2012 and said reduction in energy consumption continues to make an impact even if consumers may not be aware of it. To help make its operations more sustainable, Lego's parent company, Kirkbi, is putting $547 million towards constructing a wind farm located off Germany's coast. The goal of this project is to generate at least the same amount of energy Lego consumes by 2020.